The Miami Parking Authority board member Jami Reyes, CEO Art Noriega, COO Alex Argudin, and members of the senior management staff visited the Lotus House and presented them with a check for back-to-school uniforms for the children who are in the shelter. Trees are a vital part any urban infrastructure, as much as other municipal facilities and the Miami Parking Authority strives to preserve and protect these public assets, as part of its Grove Bay development project. 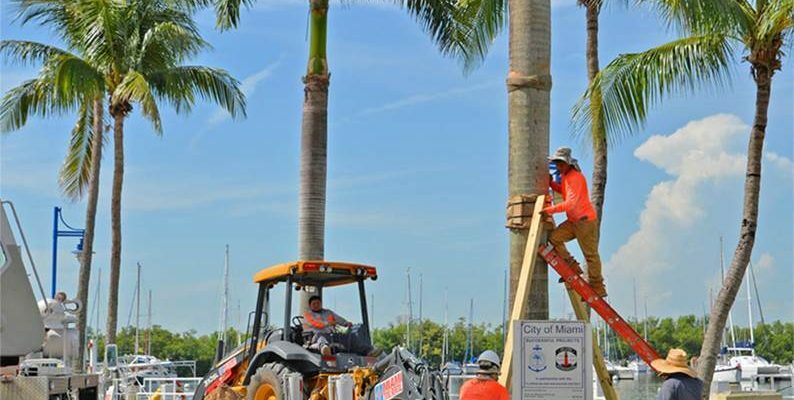 These images illustrate the transplantation of royal palms from Grove Bay to Regatta Park.